Nick Haymes first met Gabe Nevins on an editorial assignment in the summer of 2007. Gabe had just wrapped up his lead role in Gus Van Sant’s Paranoid Park, in which he had played a teenage skateboarder who accidentally kills a security guard. Gabe had never acted prior to starring in the film; he had heard about Van Sant’s casting call from a skateboard store and initially auditioned as an extra. Meeting the teenager, Haymes recalls: “Initially, Gabe was fairly shy, but it quickly transpired that he had seen some of my skateboarding images online and an instant friendship was struck. 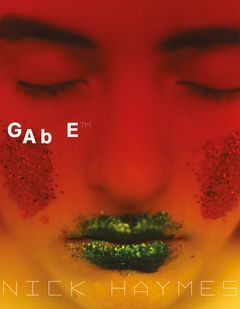 When the assignment was over, I approached Gabe about the possibility of working on more photographs as there was something entirely captivating about him and his energy.” This volume tracks the highs and lows of Gabe’s teen years, from stardom to emotional breakdown and homelessness. Featured image is reproduced from Nick Haymes: GABEtm. 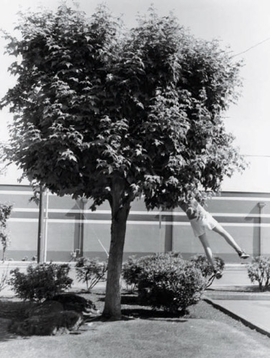 Chronicling the American travels of young skateboarder Gabe Nevins, the star of Van Sant's 2007 film Paranoid Park, Haymes's photographs document the intimate experiences of a rough and tumble youth with a haunting, nostalgic distance not so dissimilar to Van Sant's own work. Capturing all the ephemerea of today's adolescent (including tree climbing, firework throwing, cat tossing, alcohol spitting, Facebook commenting, and wrestling), the resulting artifact is appealing to anyone who's lived through a rollicking young period - and who hasn't? This March, Haymes released Gabe a collection of his photos of Nevins, collecting and tracing his life from his youth to his more troubled years as a young adult. "The still pictures by Nick Haymes are perhaps something Gabe would rather be doing than making a movie, cruising around with just a small camera— posing now and then doing skate tricks in various states of undress for a still camera is a more exciting process for him and you can see it in the pics how much he likes it. They are very beautiful shots and Gabe and Nick spent lots of time together taking pictures all over the United States. I kind of wish I had been there."